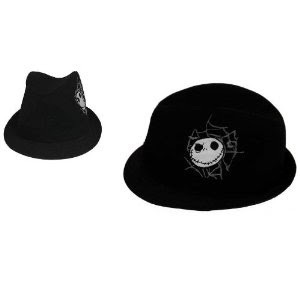 I wish that Elope would include a picture of this adorable Jack Skellington Mini Top Hat being worn on a model so we could understand exactly what "mini" looks like. (Obviously, the top hat's dimensions are not as tall as a regular top hat, but I'd like to see how it rests on an average person's head). Love the striped ribbons on the back! Also available on eBay. I can't say I'm a fan of this mini top hat from Disney Parks. The plastic decorations just look cheap and fragile. If you really must, it's also sold on eBay. 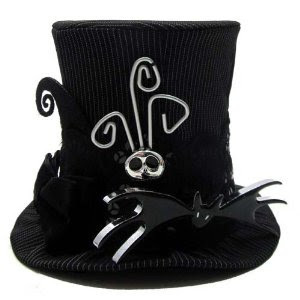 Here's a Jack Skellington top hat with a cute bat on the rim. It's also available on eBay. 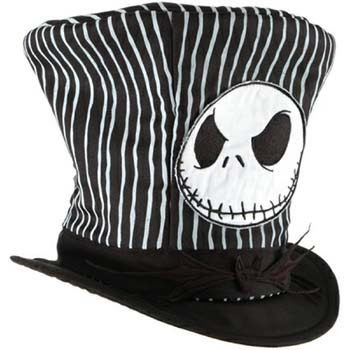 This quirky, pointy Jack Skellington Santa hat should be worn year-round as the mood strikes you, not just on Halloween and on Christmas! A similar one, with red Santa hat, is sold on eBay. 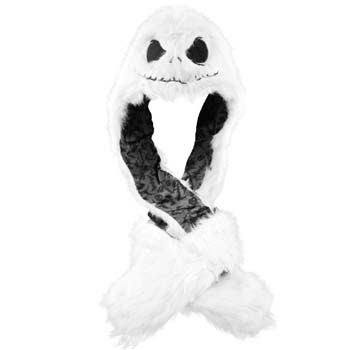 This plush Jack Skellington hat with mittens looks so soft and cuddly! 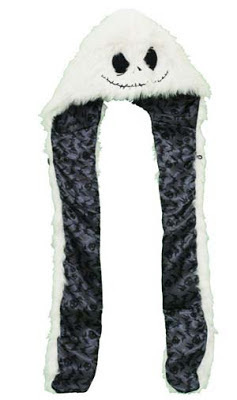 For winter, this Jack Skellington snood will keep you toasty warm. This Jack Skellington Peruvian hat is good for days when it's a bit cold and rainy but not snowing. 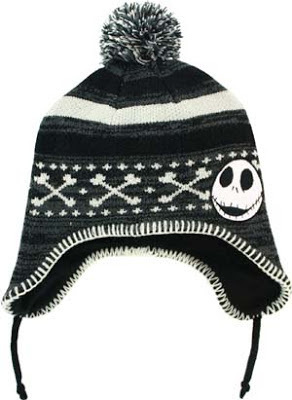 I love the jaunty pompom on the top of this black Jack Skellington beanie hat. If you prefer a simpler design, here's a nice red and black striped beanie hat with Jack on it. It's a shame that annoying hipsters have ruined fedoras for the time being. 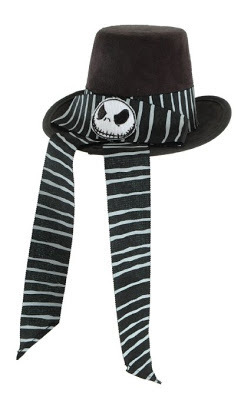 Here's a simple Jack Skellington fedora, in black of course. 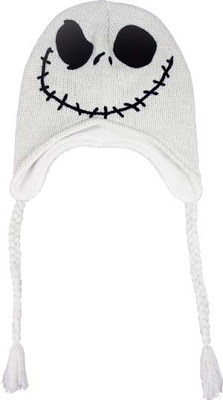 This cute hat has Jack Skellington ear flaps. 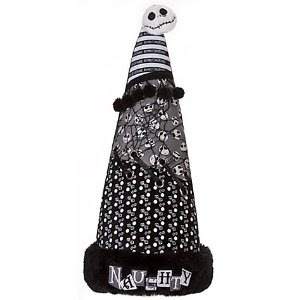 This Jack Skellington beanie has hot pink and a pompom. A great perkygoth selection!